Apple products are notoriously expensive. Fortunately, Mac fans have options that would let them maximize their Mac devices more without the need to break the bank. Here are some must-have add-ons for your Mac that are worth every cent. If you’re looking for the best combination of design and sound performance, then this is the Mac peripheral for you. The Harman Kardon Soundsticks II speaker and subwoofer system made history when it permanently became a part of New York City’s Museum of Modern Art (MoMA). Improving on the pop-culture appeal and impressive performance of the previous version, the Harman Kardon Soundsticks III is the best sound system for music, movies, and games aficionados. Fill your own entertainment center with detailed quality sound with the Soundstick’s 40 watts of amplification, 20-watt woofer for a deep bass experience, and eight full-range transducers. The Soundsticks III also has touch volume and mute controls, subwoofer volume control, and angle-adjustable satellites. Its 3.5mm stereo audio connection makes it compatible with your other devices. With great sound and cutting-edge industrial design, this is one of the best speakers for your Mac. Great for almost any type of laptop and netbook, this compact Logitech speaker clips easily onto your Mac. It’s a lightweight speaker suited for the business traveller, especially if you want clear and crisp sound on your VoIP service calls. For comparatively small speakers, you’ll be surprised with its excellent sound quality and volume. Since it’s plugged via USB cable, you don’t need to worry about toting along batteries or needing an extra electrical outlet. Thoughtfully designed, it also comes with a softly padded travel case and built-in cable storage. With its simplicity, minimalism, and mobility, it’s definitely a great complement to your Macbook. Whether you’re in a hotel, a restaurant, or in the office, the ZoneFlex 7363 is one of the best 802.11n mid-range performance access points available. It automatically prioritizes VoIP and video traffic, has up to four times extended coverage and range, and can deliver 20 concurrent voice calls with 100 simultaneous data users per radio. 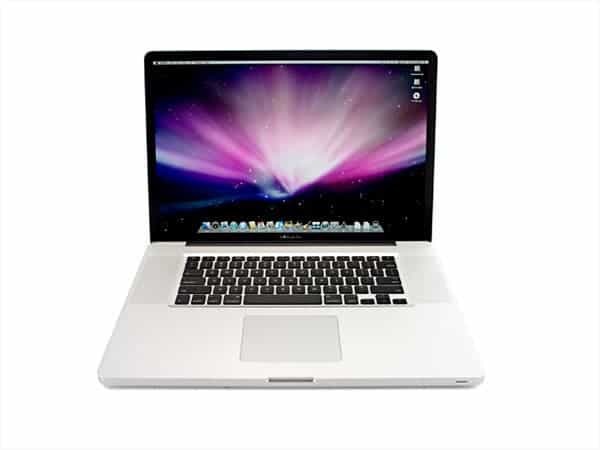 Reliable on your OS X device and aesthetically pleasing, the ZoneFlex 7363 is ideal to take with you on your business trips or any type of travel. Recognized by Mac enthusiasts around the world, Other World Computing (OWC) is the Reader’s Choice for best Mac Peripheral Reseller. You can go to their site at macsales.com to browse through an amazing collection of products for your Mac. A recommended purchase is OWC’s RAM modules, which significantly cost less than extra RAM in Apple stores. If you feel that you don’t have sufficient RAM in your MAC, call OWC’s customer service hotline to be advised of the most compatible and cost-effective RAM purchase. Just recently announced is Seagate’s portable drive designed specifically for Mac. This latest addition to the Backup Plus line of external drives makes sharing and storing your digital life easier. It lets you automatically save photos from your online communities and share videos and photos to your social networks. You can also increase transfer speeds if you decide to upgrade to Thunderbolt technology. Since it is Mac ready, Seagate Backup Plus only needs to be plugged into your Mac device. If you need a hard drive that can be interchanged between a Mac and a PC, try the Seagate Backup Plus. What are the other add-ons you use on your Mac? Share the Apple love in your comments.